Offering you a complete choice of products which include inclined tube manometer, tube manometer, vacuum manometer, digital flow meter and digital rotameter. 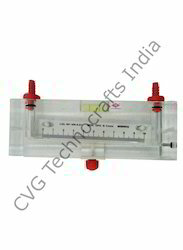 With an increase proportion of technology, we are offering high quality Inclined Tube Manometer. Widely used for various industrial applications, this Fuel meter is manufactured from high grade as per the set market norms. The offered inclined tube manometer is accessible in different models, sizes and stipulation to meet the various requirements of the customers. In addition to this, our professionals are capable to modified this inclined tube manometer within the minimum time – frame & at affordable rates. 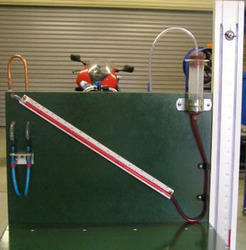 We are dynamically occupied in offering a wide array of Tube Manometer. Used for measuring pressure differences in liquids, these tube manometers are manufactured at our highly developed production house. 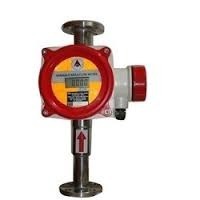 In order to meet the wide desires of customers, these tube manometers are provided in diverse stipulation. We deliver these tube manometers in diverse technical and customized options at pocket friendly rates in bulk quantities. the float combination determines the flowrate. sensor ,enable us to show the digital readout. local indication without the need for auxiliary power. no movement assembly reducing the maintenance.